The first trailer for the third Johnny English film has just dropped and it looks simply hilarious! That’s right, Rowan Atkinson’s bumbling British secret agent is back in Johnny English Strikes Again which crashes into cinemas this autumn. Despite receiving mixed reviews from the critics, the first film grossed an astonishing $160 million worldwide, with the sequel seeing similar success. A third film was soon announced, leaving fans excited to see Atkinson suit up once again as the ridiculous hero. 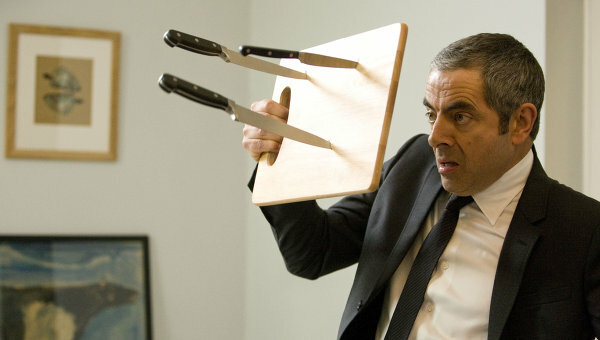 Promising more slapstick humour, over-the-top acting and pure stupidity, Johnny English Strikes Again looks just as much fun as the first two instalments. In the third movie, Johnny English is forced to come out of retirement, becoming England’s last hope when a cyber-attack reveals the identity of all the active undercover agents in Britain, which sounds strikingly similar to the hit Bond film Skyfall. Diving headfirst into action, English must find the mastermind hacker – despite being a man of few skills who doesn’t know an iPhone from a desktop computer. This time round Atkinson is joined by Bond girl Olga Kurylenko – who played Camille in Quantum of Solace – as well as Ben Miller who’s once again returning as Angus Bough, English’s partner in the field. John Malkovich will be reprising his role as Pascal Sauvage from the first film, while Gillian Anderson is back as Johnny English Reborn‘s Pamela Thornton. 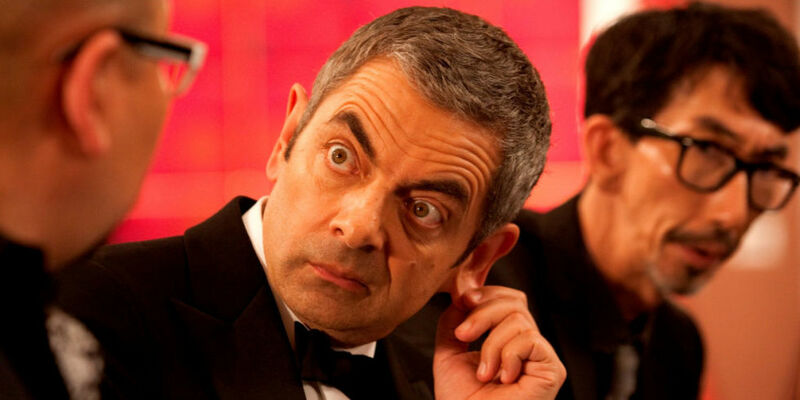 Comic actor Atkinson has created many hilarious characters over the years, including Mr Bean and Lord Blackadder, but for many, Johnny English will always be their favourite. 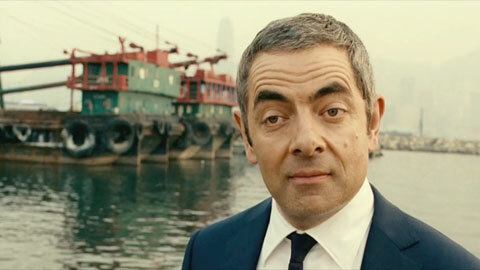 Johnny English is an enjoyable character to play. He’s fun and he’s rather human. I think he’s a rather realistic character. Perhaps he’s a more realistic and believable character than James Bond, in many ways. James Bond is just a superman. It’s rather fun to play someone with more faults and foibles. I’m not a naturally funny man. I find that I can only be funny, if I become someone else. That’s what I need to do. I need to act a part and then I can be funny. I can be reasonably funny and light-hearted when I’m in the company of good friends, but I’m not a jokesmith. I tend to be quite serious. Even though Atkinson claims he’s not ‘naturally funny’, from his riotous performances on the big and small screen, we’d have to disagree. Director David Kerr is in the chair for this round, having previously directed episodes of Fresh Meat, That Mitchell and Webb Look and Inside No. 9 and I think he is the perfect choice. Johnny English Strikes Again crashes its way into UK cinemas on October 12.